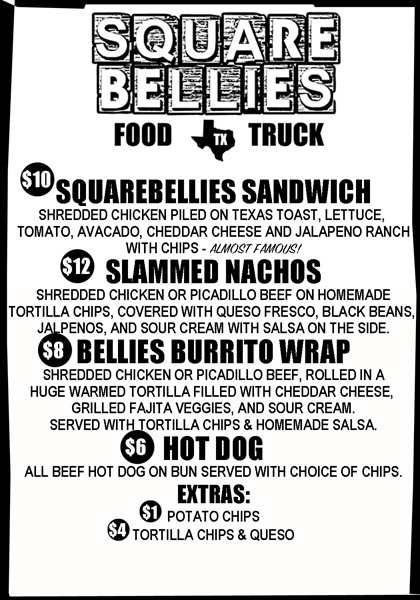 Squarebellies Food Truck at Squarebody Saloon. 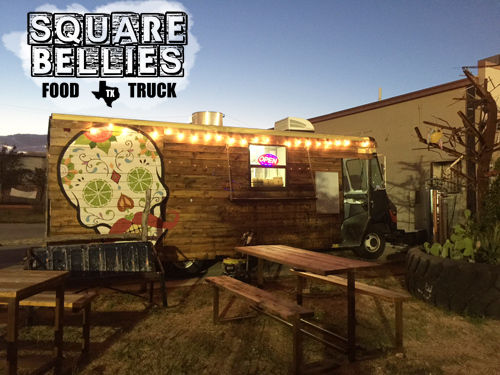 Come on out to Squarebody Saloon and try our new food truck -- check our facebook page for food truck availability and hours. Our current menu is posted but may change without notice - we like to mix it up. Campisi's Pizza is always available at Squarebody Saloon and some traditional bar snacks. If you are interested in hosting an event at Squarebody Saloon, we will customize a menu specifically for your event. Visa, Mastercard, and American Express are accepted at the food truck.